Every once in a while, someone will ask us why we don’t like A’s owners John Fisher and Lew Wolff. In 2009, the Coliseum JPA began taxing parking revenue – a tax that the A’s owners have simply never paid. Instead, Fisher and Wolff immediately raised parking prices at A’s games, passing the cost of the parking fees onto the customer. Here’s how cheap Fisher and Wolff are: They have a sweetheart lease at the Coliseum and have averaged more than $20 million in annual profit for years. 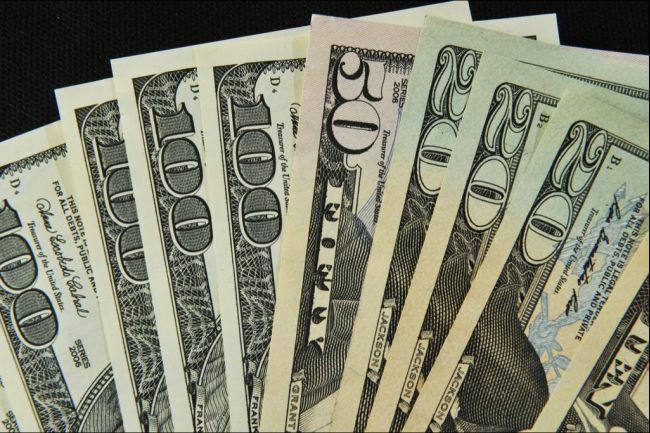 Despite that, when the JPA asked Fisher and Wolff to simply honor their contract and pay what they owed, the owners just made the customer pay more to offset the difference. About six months after that KTVU story, Fisher/Wolff and the JPA agreed to a two-year lease extension that ensures the A’s will play at the Coliseum through 2015. At that point (about six months ago), Fisher and Wolff reportedly STILL had not paid the parking revenue, and both sides agreed to let an arbitrator to decide the issue sometime later this year. For years, Wolff has said that the city “has other priorities” more important than baseball to worry about. The statement is not only insulting to Oakland, it conveniently ignores the fact that EVERY city has more important considerations than sports. But if those news reports are correct that the A’s have been pocketing money that they owed to the city and county, then here’s the punch line to Wolff’s unfunny joke: All the while Wolff was saying Oakland should worry about “other priorities,” Wolff and Fisher were pocketing millions of dollars that actually belonged to Oakland and Alameda County, not to two billionaires who receive $30 million in corporate welfare each year from fellow owners. Those millions of dollars that Fisher and Wolff got their hands on by raising parking prices on their customers is money that could have helped address those “other priorities” that every city has. Instead, Fisher and Wolff just kept it for themselves. What informed A’s fans are keeping in the deal is the mistrust that Fisher and Wolff have earned yet again. “What the …,” you are probably responding. Let us explain. Reddick’s use of Wham’s “Careless Whisper” gave fans and sportswriters a good laugh two weeks ago, reminding us all that the game shouldn’t be taken too seriously. 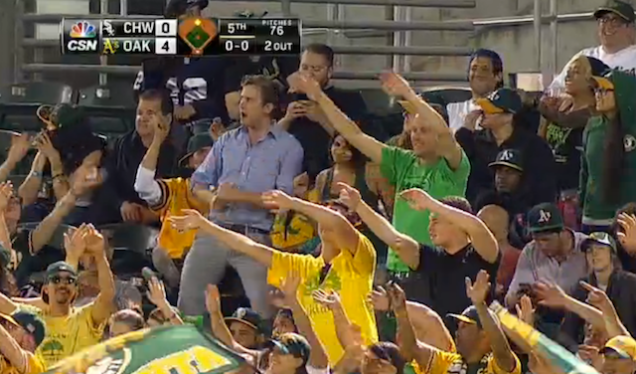 Featured prominently in the MLB videos that went viral were the Coliseum’s right-field fans, who immediately seized on the goofy irony Reddick was delivering. Almost from the second they heard the song, A’s fans were swaying in their seats, waving their arms and dancing. Reddick’s song and Oakland fans’ tongue-in-cheek response instantly became the talk of the nation, getting ink from ESPN to USA Today to Rolling Stone. Those pithy six words perfectly capture the city’s eccentric, free-spirited charm, which has fueled Oakland’s great sports teams, from “The Hairs” on Charlie Finley’s Mustache Gang dynasty, to the wild BillyBall years, to the Giambi-led frathouse in the Moneyball era to these Bernie Lean/Stay for the Pie/Careless Whisper A’s led by Bob Melvin. Here’s what inspired us about the fans’ response to Reddick’s kitschy walkup song: No matter how much negativity gets heaped on the Coliseum and the A’s faithful, the fans just shrug it off and keep coming. Wait, more accurately: A’s fans keep coming AND keep displaying a fun-loving, unpretentious vibe that Reddick and other players have fed off of since the late 1960s. Their stadium gets mocked almost daily? Whatevs. Oakland baseball fans are going to have a good time at the Coliseum, and there’s nothing you can do to stop them. A’s fans aren’t treated fairly, but they won’t whine about it. Sure, it’s not fair that the A’s front office and a some sports radio hosts constantly insult Oakland fans, chiding them and their stadium for what they do not have, rather than all the great things they bring to the table. But those loyal Green-and-Gold-loving fanatics never got that memo. And if they did, they’d likely just tear it up and keep cheering, chanting and — on those nights when Wham’s cheesy saxophone pierces the cool Coliseum air — dancing. Yes, really, and here’s why: In the classic TV show, the residents of Whoville awake to find all their gifts and decorations have been stolen. Completely gone. Which sounds an awful lot like A’s fans hanging together — with their team and their city — through thick and thin. As if to say to obnoxious A’s fan critics: Do you really think this A’s baseball thing’s about scoreboards? Or how new and shiny your ballpark is? Nah, it’s about community and family and tradition. It’s about the things that REALLY matter in life; the things you simply cannot buy. Oakland sports’ longstanding rebel spirit can be found in unusual places and unpredictable Coliseum moments: like, in a rousing 5-minute standing ovation for the losing playoff team. Or in the unlikely bond forged between players and fans from a rap song about an ’80s B-movie and the goofy dance move it spawned. Or in the cheesy saxophone solo in “Careless Whisper,” as player and fans share an unspoken wink and a nod. That Oakland baseball spirit — as unpredictable and joyous as a late-inning rally – remains in unexpected places, wrapped in the strange magic that has defined A’s baseball of any era. One of MLB’s better kept secrets is that, after almost 47 seasons at the Coliseum, that spirit has become part of the DNA of the city of Oakland, and of A’s baseball itself. It was so easy to enjoy this past sun-splashed weekend at Jack London Square, it was not hard to see that an Oakland waterfront ballpark would be a total success. Tens of thousands of revelers visited the Square this weekend for a slate of events, concerts and a festival. First, Jack London hosted the 2nd annual NorCal Session Beer Festival on Saturday, as thousands of beer-lovers soaked in the sun and the suds offered by more than 30 Bay Area breweries. Later that night, the Oakland East Bay Symphony sold out its presentation of “Bach & Brew” — a classical music performance at Linden Street Brewery by the Port of Oakland. When Linden opens its brewery backdoor, it faces directly onto the Howard Terminal ballpark site, right on the water. Hundreds attended “Bach & Brew” with nary a problem. Then, New Orleans musician Allen Toussaint played Yoshi’s Oakland throughout the weekend. Toussaint, a legendary performer, songwriter and producer, stayed near the Oakland waterfront and was seen Sunday dining at Lungomare, which is just a guitar-pick toss away from Howard Terminal. Also, the Farmer’s Market is held there every Sunday, which also draws thousands of people each week. As do the restaurants and bars – Haven, Centouno, Forge, Lungomare, Chop Bar, Boccanova, Encuentro and others – that have popped up there the past five years. But get this: Even more are on the way. Developers are planning a 49,000-square-foot restaurant-pub-entertainment center in the vacant bookstore where Broadway meets the Square. It will feature a restaurant-pub with bowling lanes, a large beer garden and bocce ball courts, the SF Business Journal says. And more plans are in the pipeline. The Oakland Tribune’s Matthew Artz reports on plans to build 665 apartments in two residential towers — one 17 stories, the other 26 stories – amid the restaurants, bars and offices at Jack London Square. That would provide the Square some of the residential density that the Fox Theater and Jerry Brown’s 10K plan have brought to downtown Oakland. Now, you might be getting fatigued with us writing about Oakland’s renaissance. Sorry, we’re not tired of it, because Oakland’s business boom keeps getting hotter and hotter, and that’s a beautiful thing. We don’t run out of positive Oakland things to talk about because the new businesses, bars, restaurants, cafes and tech companies just keep coming and coming. We actually can barely keep up with it. Jack London Square’s full potential has yet to be totally realized, most agree on that. But rest assured, that day is coming, because the area is growing by leaps and bounds just about every week. It’s why the Square had thousands of visitors this weekend, enjoying its growing, fun and safe entertainment economy. Jack London Square already is really cool, drawing more visitors and tourists than given credit for. And if you add an A’s ballpark to the area — as some of Oakland’s most powerful, deep-pocketed business leaders are working hard to deliver – then Jack London Square will finally become the waterfront powerhouse it was intended to be. Just ask the thousands of people who routinely visit it.